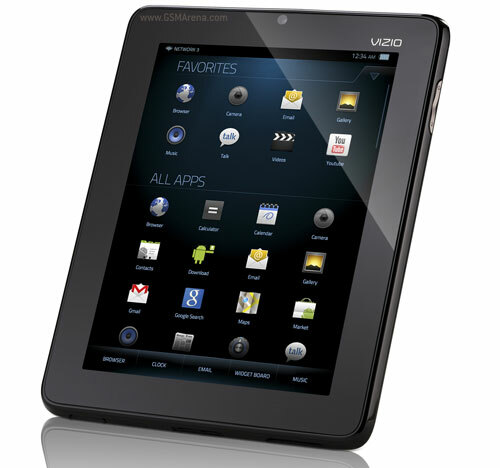 Remember the neat-looking Android tablet from the television manufacturer Vizio that was showcased at CES this year? Well it has finally been put up for pre-order on their site. It’s available in two models, where $379.99 gets you just the tablet and $399.99 gets you a custom-fit folio case and 16GB microSD card along with it. The device will start shipping on July 18, which is when you can buy it in a store as well. For those who don’t remember it, the Vizio Tablet is based on Android 2.3 Gingerbread and has a 1024 x 768, 8-inch touchscreen display, along with Bluetooth, Wi-Fi, GPS, HDMI-out, stereo speakers with SRS TruMedia, front facing VGA camera, built-in IR blaster with universal remote app and 4GB internal memory that can be expanded via microSD cards. It runs on a 1GHz processor and has 512MB of RAM.